Jumbo set makes it hard to miss a pin! Our giant version is sure to become a fast favorite! Boost confidence in players of all ages and abilities. Great for quick fun and physical activity. Just inflate, set up and play! 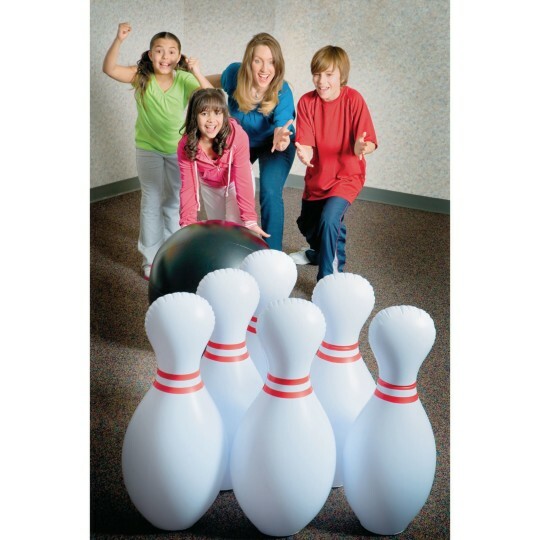 It's hard to miss a pin with this jumbo inflatable bowling set! Our giant version of this beloved activity is sure to become a fast favorite and boost confidence in players of all ages and abilities. Great for quick fun and physical activity. Just inflate, set up and play. Durable PVC pins withstand heavy use for years of high-spirited fun. Set includes six 28" tall bowling pins and one 25"-diameter black ball. For inflation, we recommend using a high volume pump similar to our W11085 or W2407. This was the second set that I've bought. I bought this game at the Community we used to manage and then again at this new Community that we manage. The residents love it. 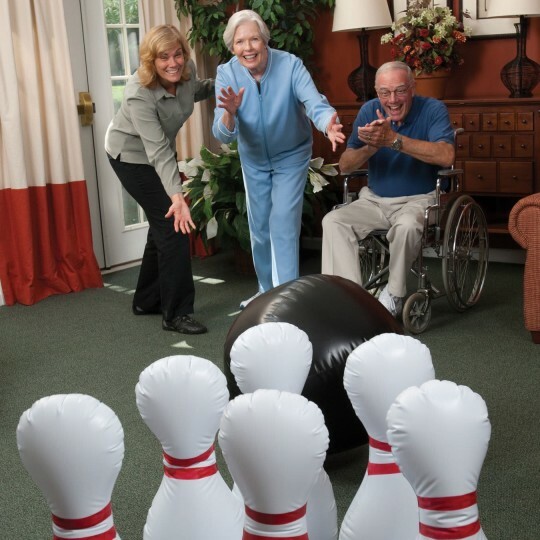 The resident's loved playing with this bowling set it is easy for them to use and see. It is a fun game that needs a lot of room to play. And my staff likes to use this activity because it's easy to set up then the regular bowling game. Lots of fun for the elders at our nursing home. Only problem is once inflated it's a lot to store. My company bought this set for our booth at an United Way volunteer event. It was a big hit for the children that stopped by to play this game and others we had going at the same. We will use this set for many future functions. Excellent purchase!